After working almost 30 days in a row, I desperately needed some ‘me’ time – and with the weather we had yesterday, I took the morning off to go birding at Palmyra Cove. There were some nice warblers about but it was often hard to hear them over the yellow warblers and the 1,000,001 catbirds about. Lucky for them that they are so darn photogenic. I got one new bird added to my lifelist (Veery) and 4 first-of-season birds (warbling vireo, solitary sandpiper, white-crowned sparrow, eastern kingbird). And did I mention it was beautiful out? 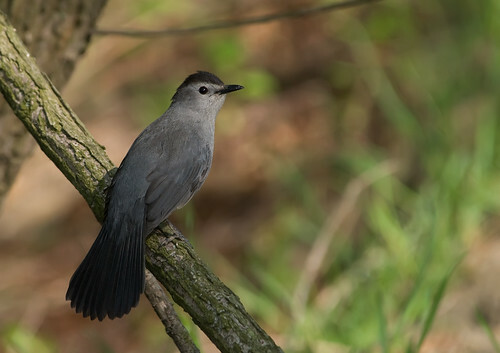 Gray Catbird – I stopped counting at 1,0000,000poss. I just came across this Grace Potter clip on You Tube. It’s her, jazz player Steve Kimock and guitarist Joe Satriani playing a fantastic rendition of Neil Young’s “Cortez the Killer” at last year’s Jammy’s. Such an amazing list of birds and we have been hoping for a Worm-eatting warbler this year! They seem to be overflying their normal route this year more than years past!